Story and Photos By: Slim Smith, The Commercial Dispatch. 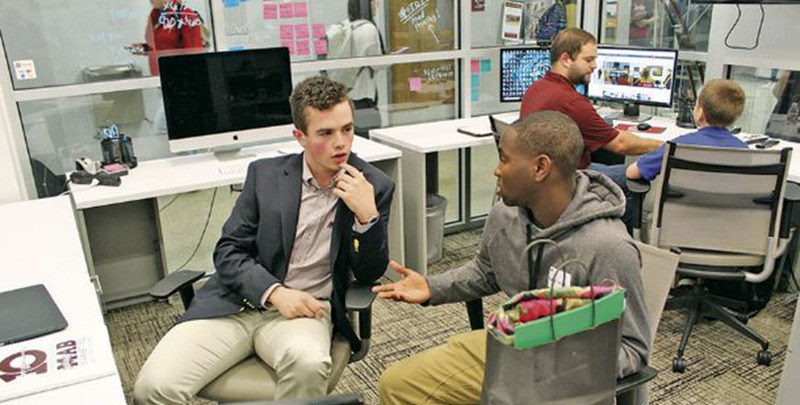 STARKVILLE, Miss.— Jacob Miller sat at a table at Mississippi State University Friday with a group of four 14-year-old entrepreneurs. He listened as the Armstrong Middle School students described their plans for “Robo Drone,” a system that would deliver water in famine areas, eliminating the need for the long daily treks to wells. Miller, 20, is a sophomore marketing major from Lucedale at MSU. And for the next week, Miller is serving as mentor for the four boys, who are among the nine finalists in a pilot program called The Innovation Challenge, a competition for middle and high school students to develop marketable business ideas or prototypes.  The competition is being conducted by Mississippi State’s Center for Entrepreneurship and Outreach and is sponsored by The Partnership in Starkville and a $5,000 grant from International Paper. 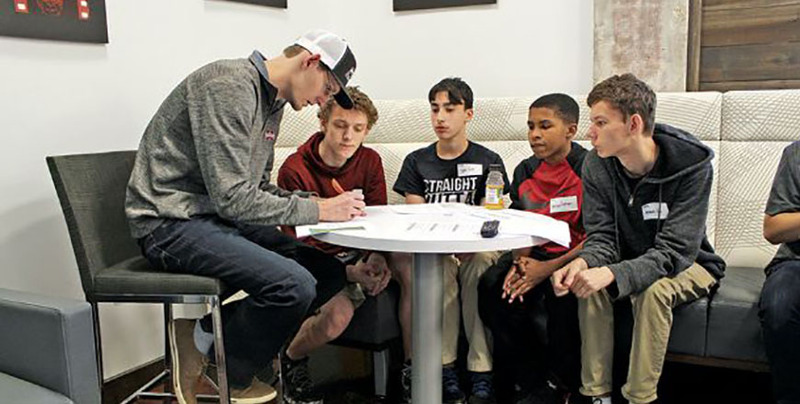 As Miller listened, asked questions and provided suggestions for his team’s project, he couldn’t help thinking about another boy about their age. The nine finalists — 19 students ranging in age from 12 to 17 — enjoyed a crash course in developing their products, beginning with sessions on making a business plan and marketing their products by MSU professors, followed by brain-storming sessions with the MSU student mentors. The mentors and students will continue to exchange information until Saturday, when the winning team will be selected. 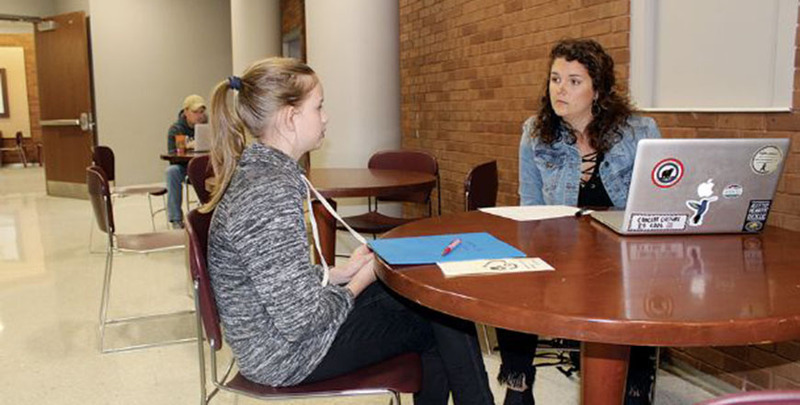 The students will present their ideas to judges in a “Shark Tank” format at 8 a.m. Saturday at Starkville Community Theater, with the winner picking up a $500 prize. Some finalists featured as many as four team members while a couple of finalists were individuals, including home-school student Evie Daniels. Her project — Healing Paws — is a center where people who have no access to animals can visit to receive pet therapy. “It was really, really fun,” said Daniels, 12, whose mentor was Kaylie Mitchell, MSU graduate and co-founder of Glo, a novelty lighted cube that can be placed in drinks. “I think her idea about having a PowerPoint in my presentation was probably the best thing I learned today. That will be really helpful. We wrote some ideas down for the PowerPoint. We’re going to interview people to see if they would be interested in using this product. We’re going to do some research and stuff. “I definitely feel better about my idea now,” she added. Jeffrey Rupp, former mayor of Columbus and now the director of outreach at the Center for Entrepreneurship and Outreach, said he’s been “blown away” with the response to the challenge. More than 50 teams in Starkville submitted plans in the competition from which the finalists were chosen. Rupp said that while this inaugural competition was limited to students from Starkville, it will be used as a model for more far-reaching programs, including programs for K-12 students. “The whole purpose of the center is to provide a place where entrepreneurs can develop ideas, get the expertise they need to pursue their dreams and connect with investors,” Rupp said. “We’ve already helped get three start-up companies up and running. That’s important. If we can build a culture where we can build or own companies in Mississippi and keep them here, it will help our economy and create jobs. Product/Service: Go Bus, A tracking system that allows students to track status of their buses via a website and cell phone app. Product/Service: Robo Drone, Drone designed to transport water in famine areas. Product/Service: Doco, Edible cookie dough (no eggs). Product/Service: Solar Jacket, Jacket’s warmth enhanced by solar panels. Product/Service: ADHD Earpiece, The earpiece produces sounds at intervals to help students with ADHD re-focus in classroom activities. Product/Service: 100 percent Human, Customized key chain that bears image of a person using web-based design program. Product/Service: Team Up, Phone app that allows athletes to find locations of other people playing pick-up games in their sport. Product/Service: Floating Phone Case, Waterproof, buoyant case to protect cell phone.